Please join us on Tuesday, April 18th at 1:00PM for the brand new Tampa REIA Onsite Renovation Group (ORG) to learn all about finding, funding, fixing, and flipping houses for big profits. 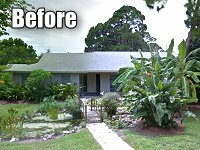 This month’s meeting will be held at a renovation project located at 1430 Serpentine Dr. S, St. Petersburg, FL which is Jessica Thibodeau and Tyler Cobb’s rehab project. It is 30% complete. This is a 3 bedroom, 2.5 bath, 2474 square foot frame house build in 1966. This is located in the famous “pink streets” of St. Pete. RSVP Now! The Tampa REIA Onsite Renovation Group is an exciting new educational and networking group that focuses on the acquisition, renovation and retail resale (fix & flip) or rental (buy & hold) of single or multi family residential homes in the Tampa Bay Area. The purpose of the group is to allow both new and experienced rehabbers and investors to meet, network, share knowledge and learn from each others successes and mistakes while getting “hands on” experience at real rehab properties. The Onsite Renovation Group meets on the 3rd Tuesday of each month at 1:00PM at an active renovation site, build site or rental property which will vary from month to month and be announced prior to the meeting on the Tampa REIA Calendar. Come join us to learn how to rehab houses for big profits the right way… you will be glad you did! See Tampa REIA Events Calendar for More Events!